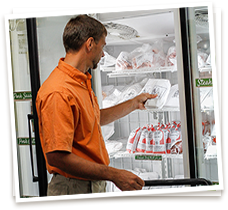 Welcome To Sunrise Farms’ Non-GMO Store, Your All-Natural Meat Supplier! 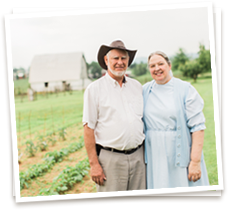 Nestled in the scenic Shenandoah Valley and conveniently located just 3.5 miles off I-64 at exit 91, the Sunrise Farms storefront supplies non-GMO products at reasonable prices. We stock our all-natural meat, brown eggs, and honey for purchase year-round. We have fresh poultry available seasonally. Located in Stuarts Draft, Virginia, our storefront sits at the entrance of Sunrise Farms, and is easy to reach from the main road. Put Us On Your Grocery List! Stock Up On All-Natural Meat, Fresh Brown Eggs, And Honey. All-Natural Beef: Grass-finished, our pastured beef contains no added hormones and no preservatives. All-Natural Pork: No MSG, no added nitrates or nitrites, and an old-fashioned curing process mean clean, delicious pork products from well-cared-for hogs. All-Natural Lamb: Produced at local Weaver Sheep Farm, lamb products contain no added hormones, no medications, and come from pastured flocks supplemented with a non-GMO grain ration. 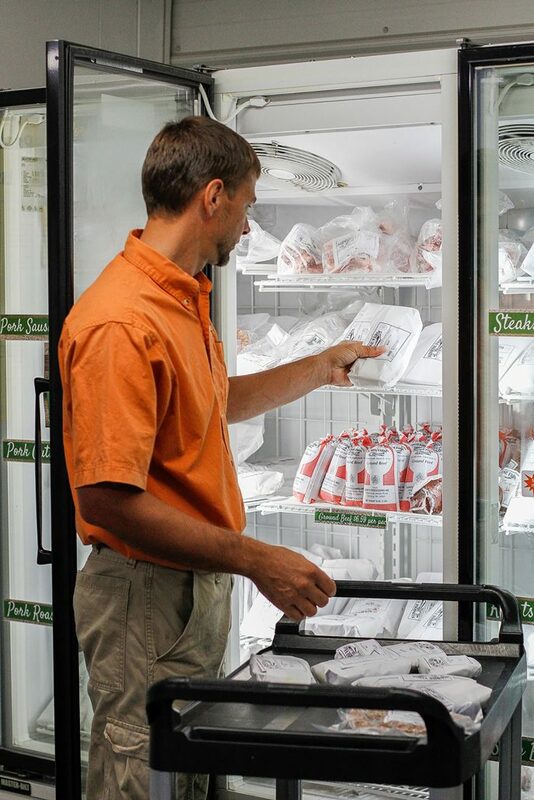 All-Natural Turkey: We supply frozen free-range turkey year round, and fresh turkey in the fall and for Thanksgiving. All-Natural Chicken: Free-range, pastured chicken available frozen year-round, and fresh April through October. Our fresh brown eggs are from free-range, pastured chickens fed non-GMO feed produced right here at Sunrise Farms. Our Sunrise Farms honeybees produce delicious wildflower honey that we sell in 2oz, 12oz, and 16oz sizes, available throughout the year. Family-Owned And Operated, The Sunrise Farms Store Lets Us Share Our Bounty With You. Visit Our Store During Convenient Business Hours For Self-Service Products. We gladly accept cash and checks. When the Farm Office is staffed, from 8:00am – 5:00pm Monday – Friday, we also accept credit and debit cards for Storefront items. 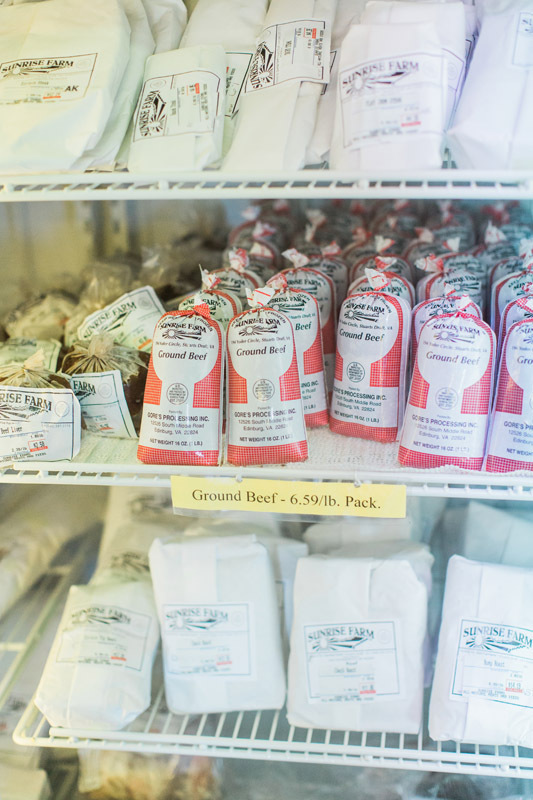 We offer regional meat delivery through Shenandoah Foods.